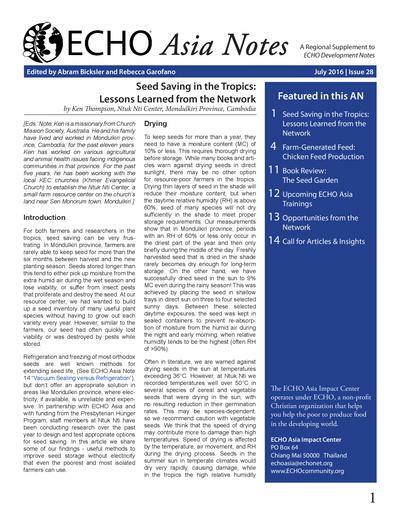 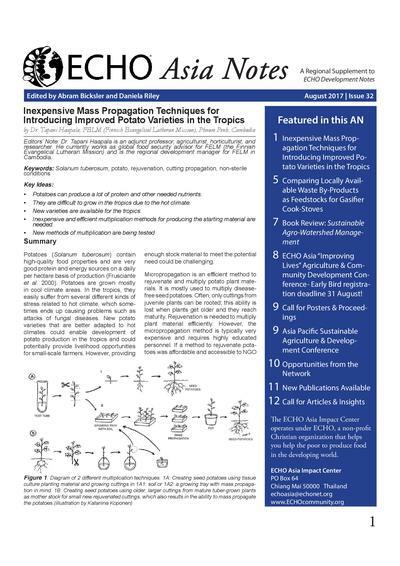 In an effort to expand the dissemination of technical materials and best practices presented during this year’s ECHO Asia Agriculture & Community Development Conference, the ECHO Asia team has compiled a collection of technical papers contributed by network members and conference participants. 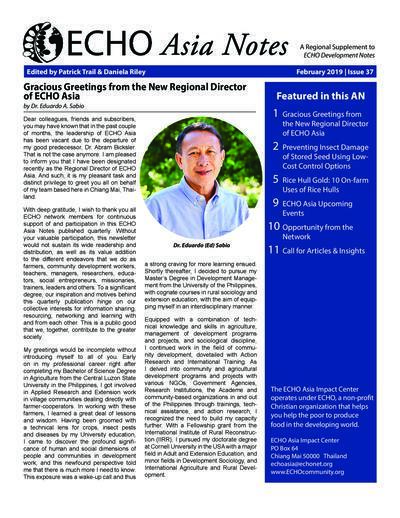 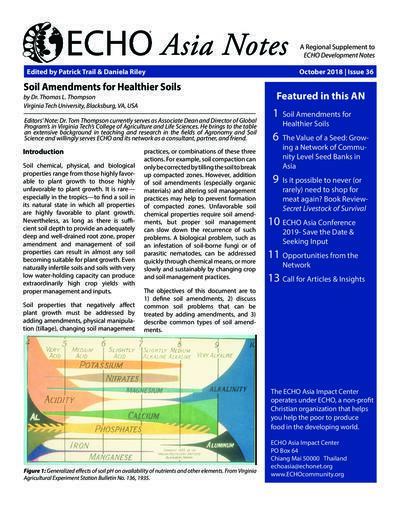 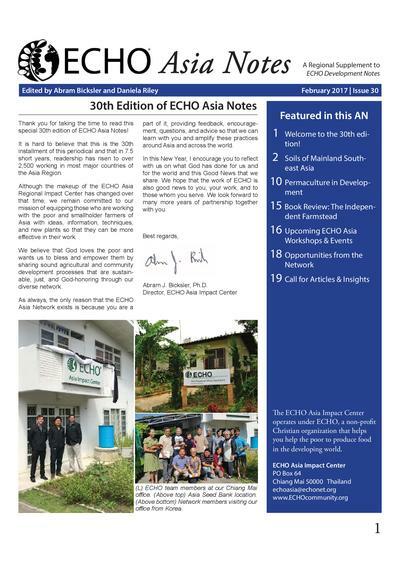 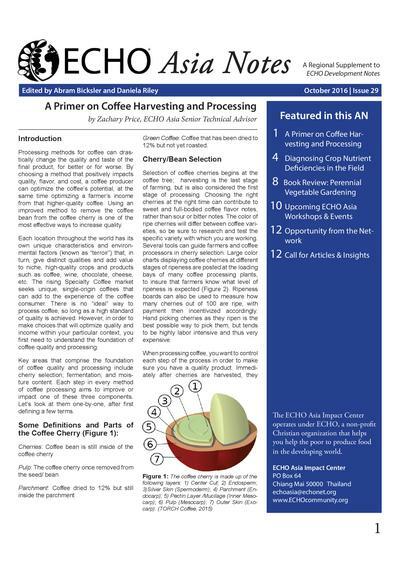 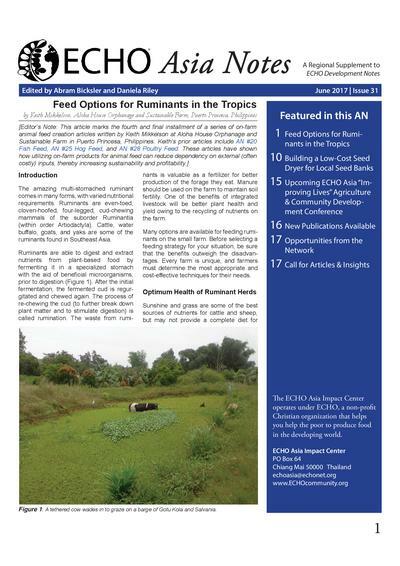 The papers compiled in this Special Issue of ECHO Asia Notes seek to address a variety of topics relevant to the work of ECHO in the region, and summarize past and ongoing projects aimed at improving the lives of the marginalized through relevant, practical, and innovative agriculture-related practices. 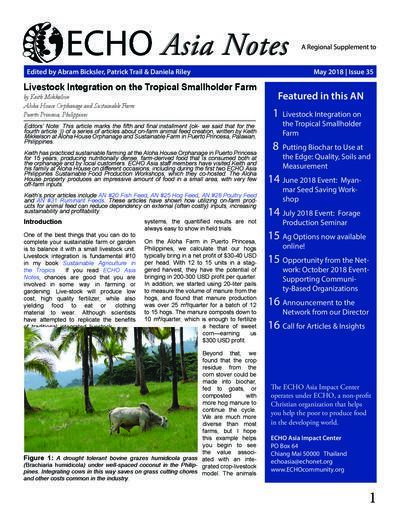 We would like to thank the implementers and authors of these projects by acknowledging the quality of their work, and hope that in sharing these synopses, others might benefit from their content. 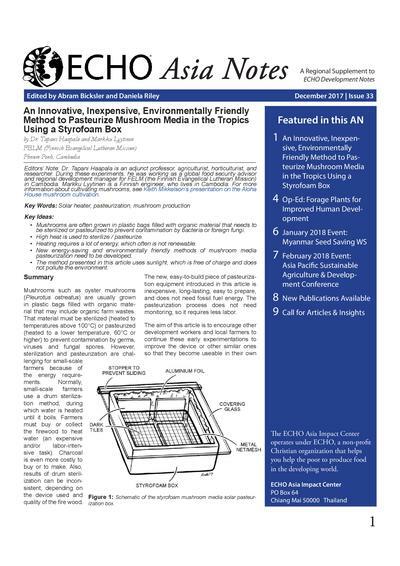 It is our hope that you might also be inspired to bolster your individual abilities to conduct similar use-inspired research in the field, and to continue to share with others what works and doesn’t work in your unique contexts. 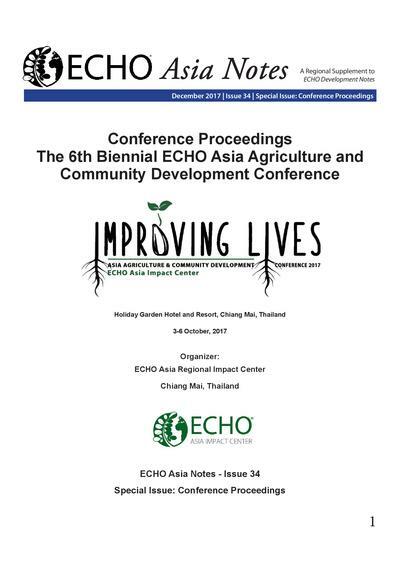 ECHO Asia "Improving Lives" Agriculture & Community Development Conference- Early Bird registration deadline is 31 August.